Broken Bay Scout Group | Broken Bay Scouts is located in the heart of Brisbane Water on the sunny Central Coast. 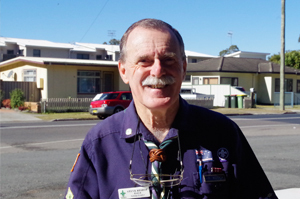 We have two Scout Halls one in Ettalong and the other in Umina. Broken Bay Scout Group is located in the heart of Brisbane Water on the sunny Central Coast only an hour north of Sydney and an hour south of Newcastle. Our group is unique in the fact that we have two halls. One located in Umina and the other in Ettalong. Our location in Umina is within short walking distance to Umina Beach which is perfect for surfing, swimming and fishing. From here you can also do plenty of beach walks and bush walks. Ettalong is an aboriginal word meaning “drinking place”. From here you can use nearby waterways for canoeing, safe swimming or a spot of fishing. Our position is advantageous as we can utilise both the Brisbane Water National Park for Bushwalking and our waterways for water activities.